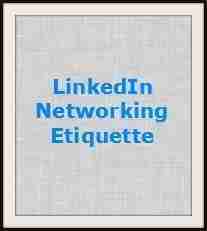 LinkedIn is the go-to source for professional networking, so learning proper LinkedIn networking etiquette will give you a huge advantage. I am passionate to discover more ways to use LinkedIn for business. So, I decided to sit down and write this blog post because I’m appalled at the level of unprofessional networking etiquette I run across with LinkedIn connections and prospects. I apologize to those in advance if this sounds like a rant, but if I can educate even one person to use LinkedIn the way it was intended than my efforts will have been accomplished. Why are we using LinkedIn? 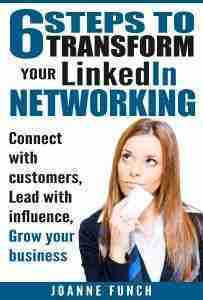 LinkedIn is a social media tool designed to build a network of connections to meet our business goals such as building brand awareness, research, building community, joining like-minded communities and of course lead generation. Deleve into learning more from our LinkedIn Resources page, and advance your skills. There is always so much you can learn about networking better on LinkedIn. We’ll pull out the top resources for you. In my opinion if you have taken the time to create a LinkedIn profile, invite some people to be part of your network and you are obviously sharing your profile publicly than you should have the common courtesy to respond to invitation requests, and more importantly to your connections direct communications with you. Do you use the excuse – I’m too busy? This doesn’t hold much water with me because all business professionals are busy. We have many demands and priorities, but with that said it’s time to decide if you are too busy to interact with your connections than you should remove yourself from the platform – YES close your account! To simply ignore emails from contacts is not acceptable in a networking situation. You wouldn’t simply ignore someone and walk away if you were in-person networking so why would you do that to someone online? Okay, I know you have a email in-box that is chocked full everyday, but so does everyone else. Besides the poor networking etiquette, I believe there could be many missed opportunities by not following your network both in terms of ways you can further develop relationships with your target market and ways people can bring more value to you. So take some time everyday to check your “Messages” and “Notifications” tab and see who is active in your network. Scan the news feed and see what your connections are talking about and set-aside some time to engage with your network – I guarantee it can enrich your life! If you own your own business solo or are a freelancer who is trying to fill out past work history, ask individuals for specific recommendations for related business tasks you worked on with them. Want to learn more about creating a social media strategy for LinkedIn or other social platforms? Train your staff to be brand advocates and create congruence policies for your company?